So I realized that last year for St. Patrick’s Day I happened to be in Tahoe for a bachelorette party and was pretty much on my death bed. Not from drinking, but came down with something in the first few hours of being there. 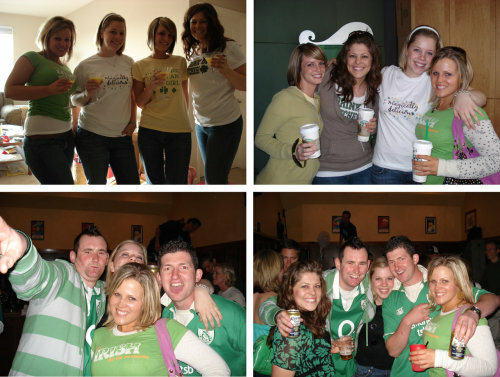 St. Patrick’s Day ‘07? A LOT MORE FUN! We were in San Francisco…My sister actually came for once, people were insanely drunk, we watched a parade, we wore green, met firemen, a hobbit, and an ex-boyfriend look a like. It was an all around good time.